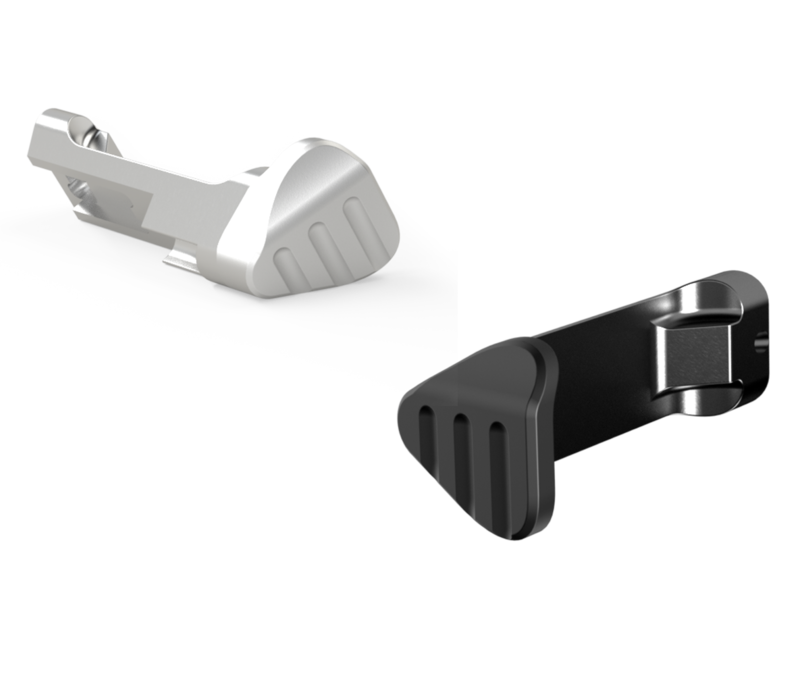 Keres Dynamics' PRO EXTEND patent pending design improves magazine release access and indexing, allowing for faster magazine changes with enhanced ergonomics and comfort. 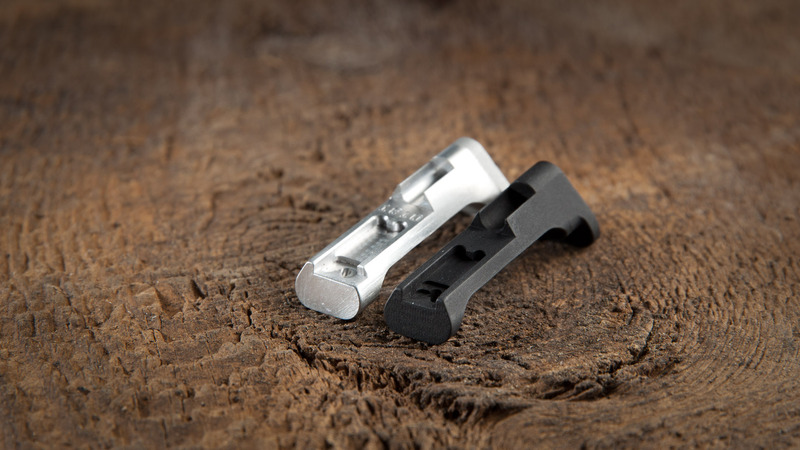 Available in Black & Silver hard annodized finish in both Right and Left hand configurations. 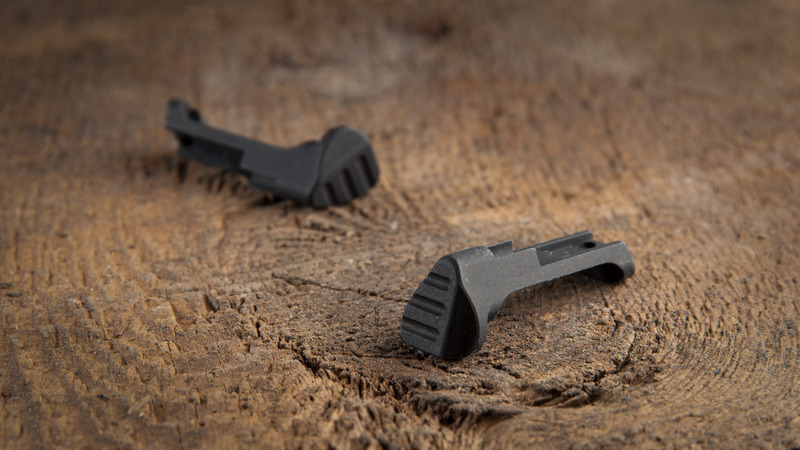 Extended length and enlarged thumb pad gives greater leverage for easier and faster magazine changes. 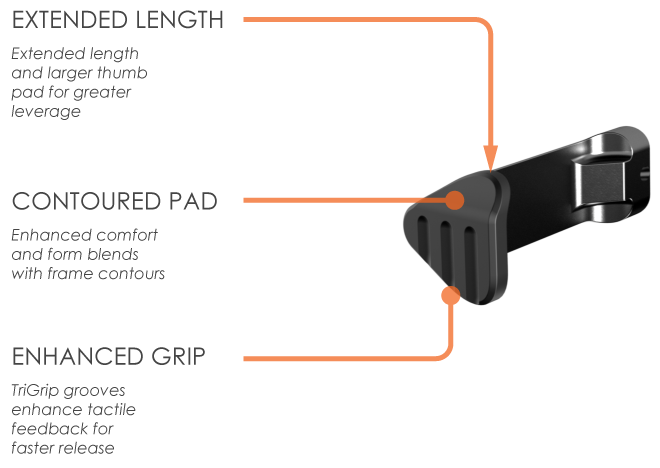 Tri-grip grooved design enhances tactile feedback for positive engagement and greater comfort on the thumb pad. 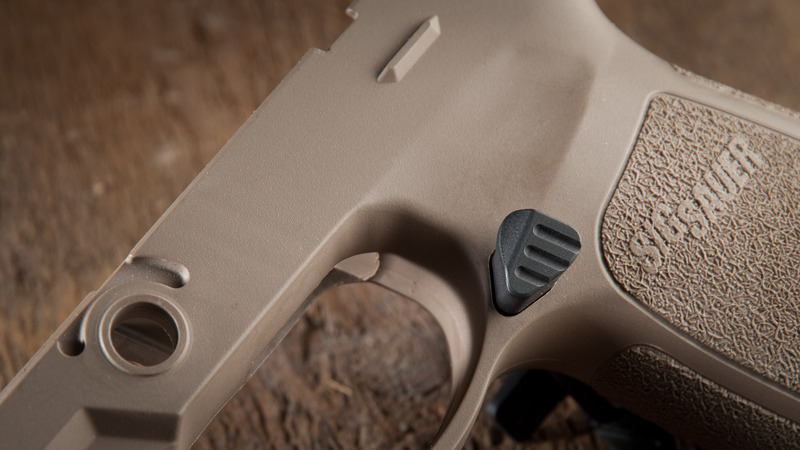 Patent pending, contoured design blends with the factory frame and provides greater comfort while shooting. Precision machined from ultra-high strength Tennalum® 7068 -T6511 aluminum alloy giving our parts higher yield strength and equivalent hardness to 4130 Cr-Mo steel (chromoly), yet remains as light as other 6000 and 7000 series alloys. 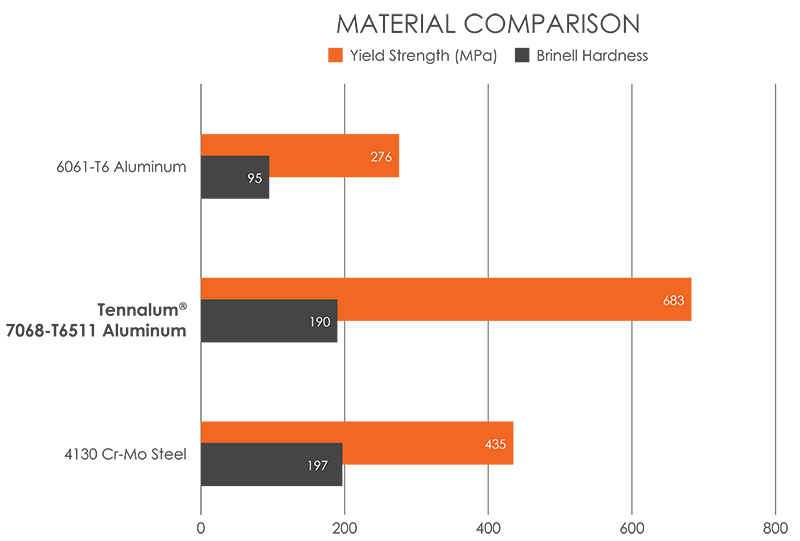 Compared to 6061 aluminum, the yield strength of 7068 is 250% higher. 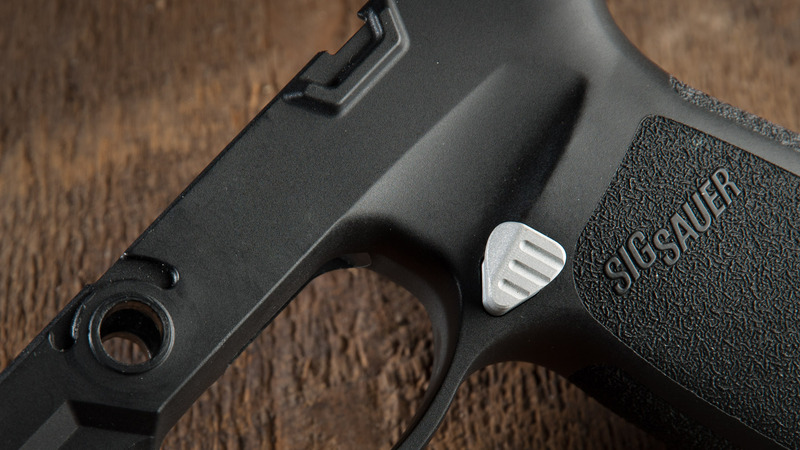 We were so impressed with the performance of Tennalum® 7068-T6511 aluminum on our triggers that we chose to extend this quality material to our magazine release. Tennalum® gives our parts greater strength than 4130 chromoly steel, but with the lighter weight of aluminum. By comparison, Tennalum® is nearly 250% stronger than 6061 aluminum, but only 1/3 the weight of 4130 steel. While this may be overkill for the magazine release application, we want our customers to have confidence that their release is going to withstand years of abuse without material failure.